Summer usually means wedding season and Emily already has one hen party and wedding under her belt, with one more to come. 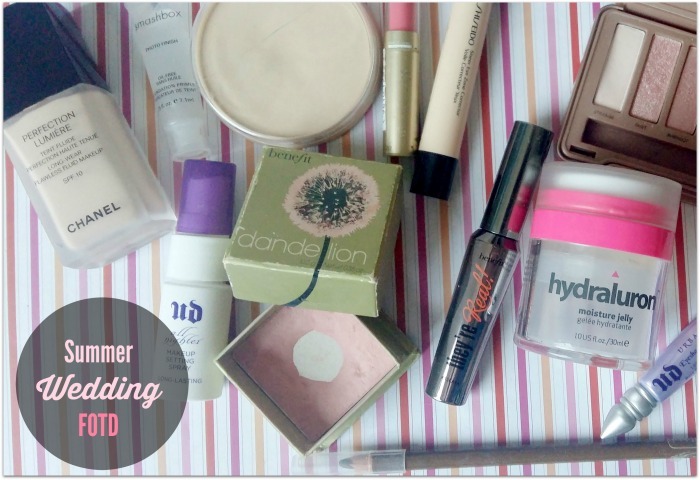 So of course we've asked her to open up her beauty bag for our voyeuristic viewing pleasure! Skin prep: I started with a facial scrub to make sure my skin was smooth and then I applied some of my Indeed Labs Hydraluron gel to plump up my skin (I’m a big fan of this stuff, check out our full review). Then I slapped on some moisturising cream and Smashbox’s foundation primer (I found a sample of this when I was routing through my make-up and was really impressed). Make-up: I ran Shiseido Eye Zone Corrector in the colour 102 Light, beneath my eyes. I have quite dark patches towards my inner eye corner so this helps to counteract that (and hey, we reviewed that too). I used Chanel Perfection Lumiere foundation in the colour 12 Beige Rosé. This is just my every day foundation but to be fair, when you’re attending a nice occasion it can always be made more special with Chanel, amirite? 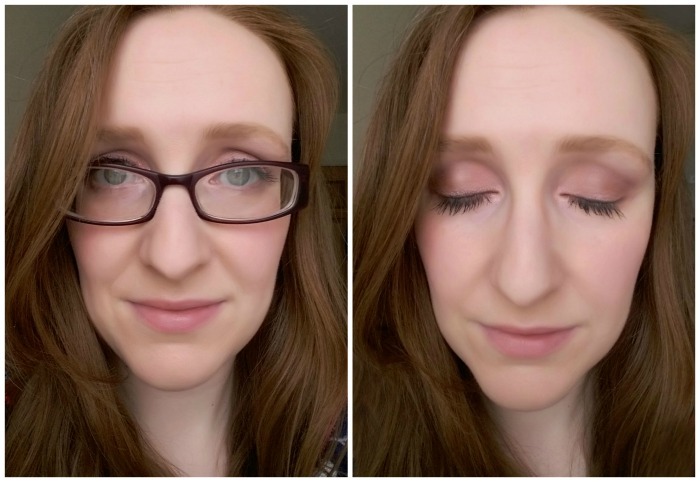 Eyes: I used Urban Decay’s Primer Potion on my eyes before going in with the Naked 3 palette . This palette, with its rosey colours, is perfect for a summer make-up look (check out our swatches here). I couldn’t find my eyelash curlers and I have poker straight lashes so I used Benefit’s They’re Real to make the best of what my mama gave me! For brows I used Shu Uemura’s Hard 9 eye pencil in Walnut 07. I love this colour on me and my god is that pencil long lasting. To finish: I applied Benefit’s blush in Dandelion for a subtle bit of flush and complemented its light pink hue with Max Factor’s Colour Intensifying Balm in, I think, Sumptuous Candy. Finally to set it all - because I was told there was going to be a heatwave *rolls eyes*- I applied Rimmel’s Stay Matte powder in Translucent and used Urban Decay’s make-up setting spray. All in all I was really chuffed with how the look came together and with how easy it was. I’ve a fair few more weddings this year so if anyone has any deceptively easy looks they’d like to share with me, please do!